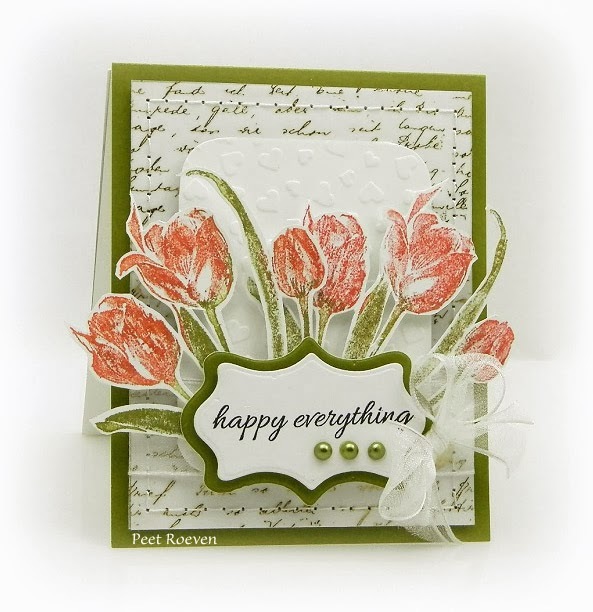 Penny Black Stamps, Tulips for you slapstick/cling & Petal Party transparent set. 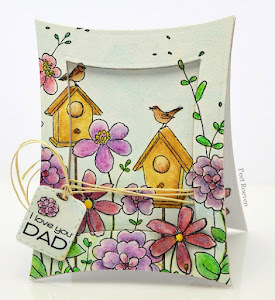 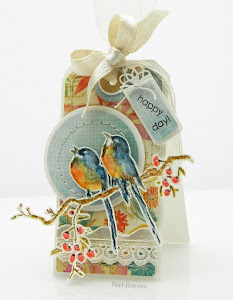 Paper by MME, Buttons from BasicGrey, Spellbinders Die, Color pencils, Glossy Accents, VersaMark Ink & White Embossing Powder. 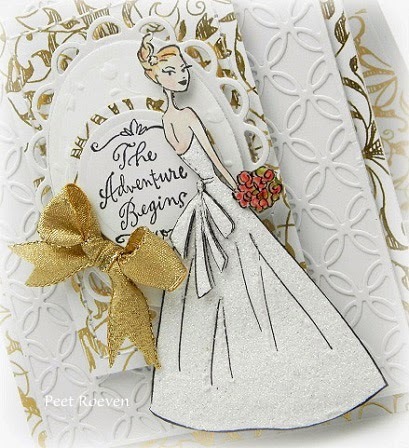 Special Day transparent stamp set, Interlocking creative die, Filigree Foil White 60-006 Paper, all from Penny Black. 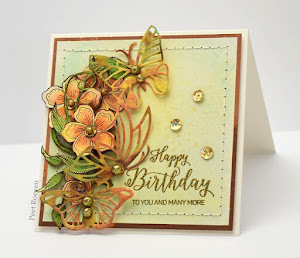 Color pencils, Glitter Powder, Glossy Accents, Gold Ribbon. 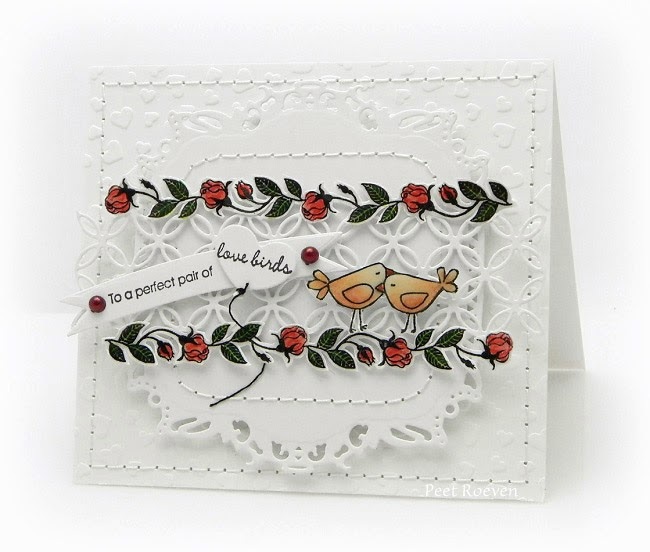 Promise Me & kind words Stamps, Feather & Frames Creative Dies, Script Foil Vellum 60-012 & "Mix & Match" Paper from Penny Black. 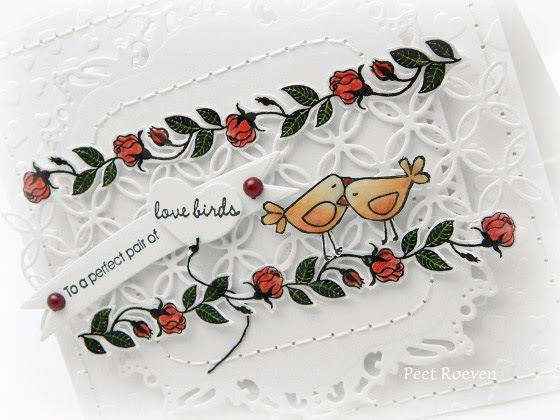 Penny Black Stamps: Love Bears (birds & sentiment) & Rose Edging. 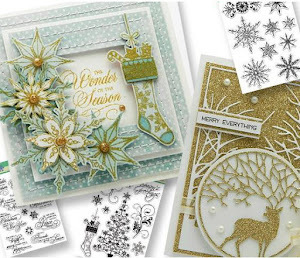 Creative Dies: Interlocking, Triple Banner & Uplifting. 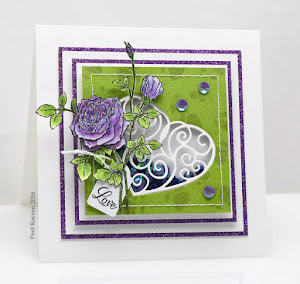 Paper: Hearts White ep403 embossed paper. 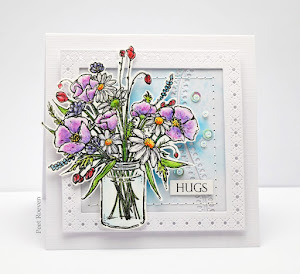 Color pencils, Glossy Accents, Spellbinders Die & Pearls. 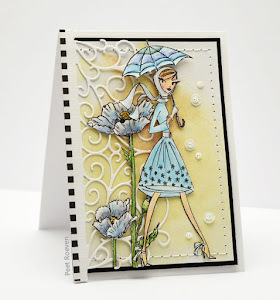 Penny Black: Dahlia Dance woodmounted stamp, Celebrations creative dies(sentiment), Eyelet White ep400 Embossed Paper, "Mix & Match" Paper. 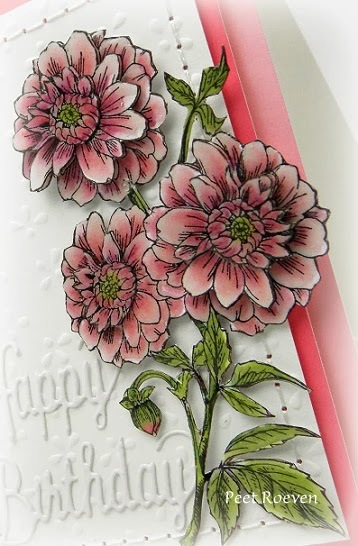 For this card was used the Hollyhocks woodmounted stamp from Penny Black. 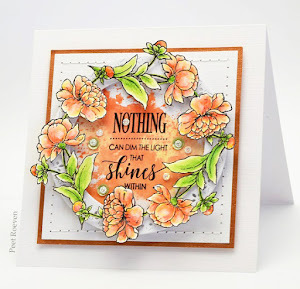 Sentiment is from Blooming Tags transparent set. 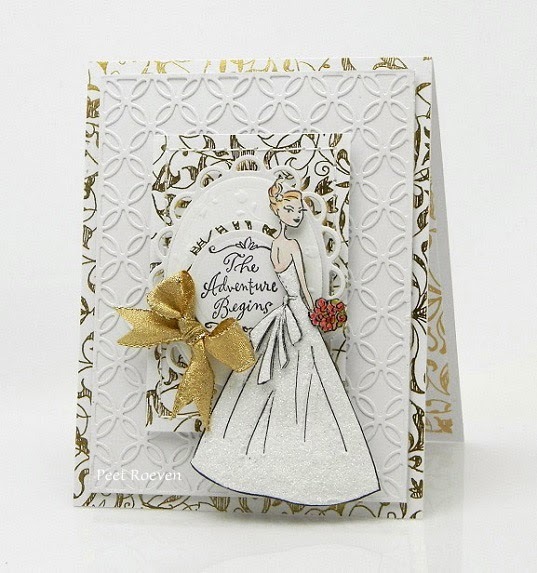 Colour Pencils, Glossy Accents, Spellbinders Dies, Rhinestone, Organza Ribbon. 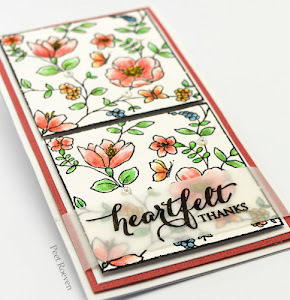 Penny Black: Bon Vivant transparent stamp set, Triple Banner & Scrolls Creative Dies, Madison Paper Pad, Eyelet White ep400 Embossed Paper. 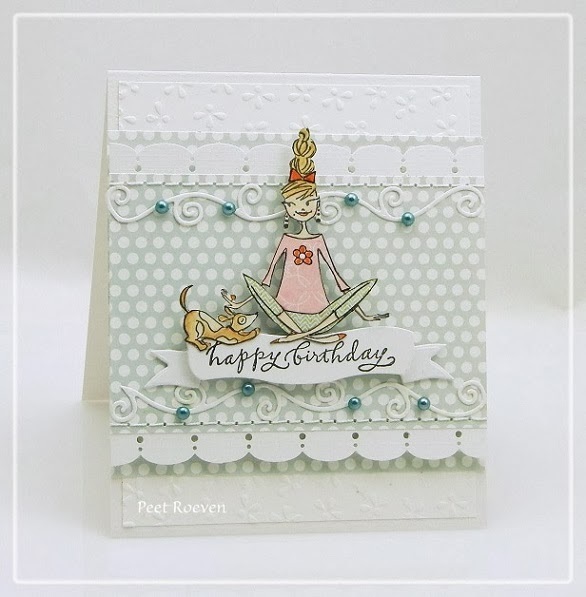 Have you seen the wonderful new Happy Everything Collection from Penny Black? 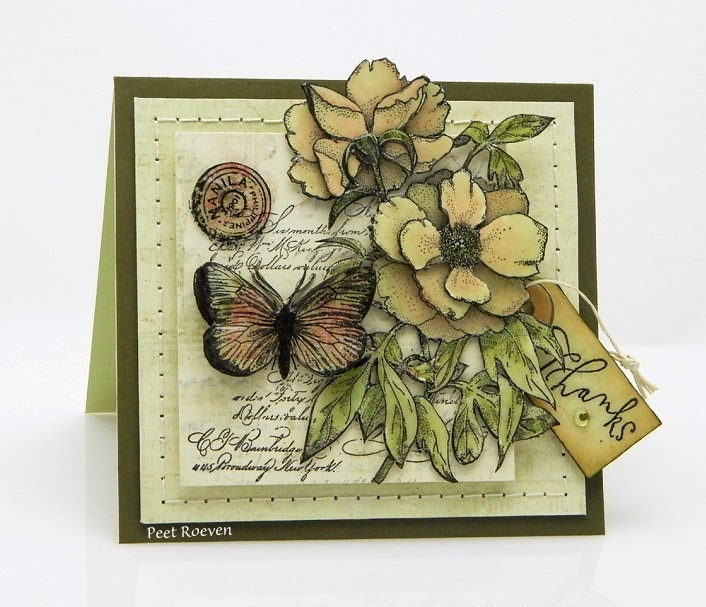 For today's card I have used the beautiful slapstick/cling stamp Botanical Notes. 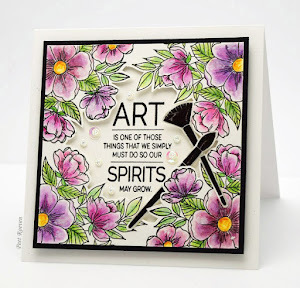 Sentiment is from the Bon Vivant transparent set. 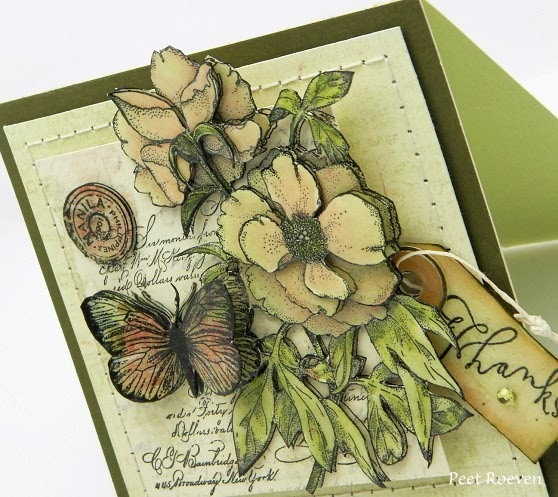 Other material: Green "Mix & Match" Paper, Color Pencils, Glossy Accents and Patterned Paper from Prima Marketing. 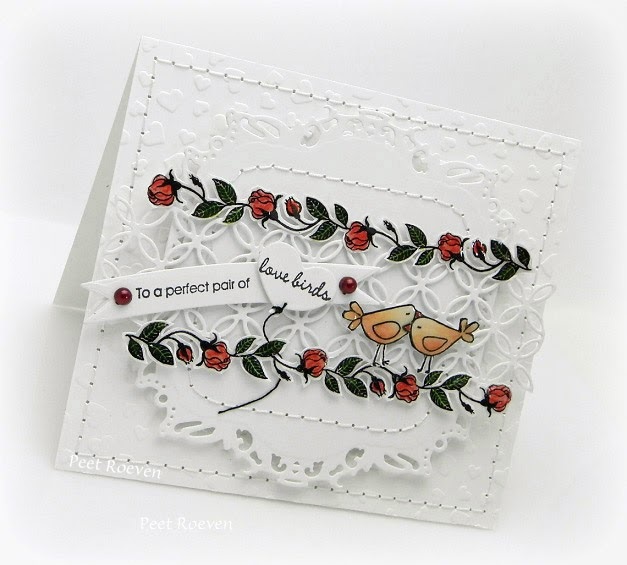 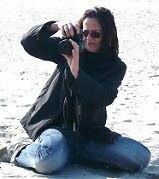 Please Check out the Penny Black Blog to see stunning creations using the New Collection all this week. 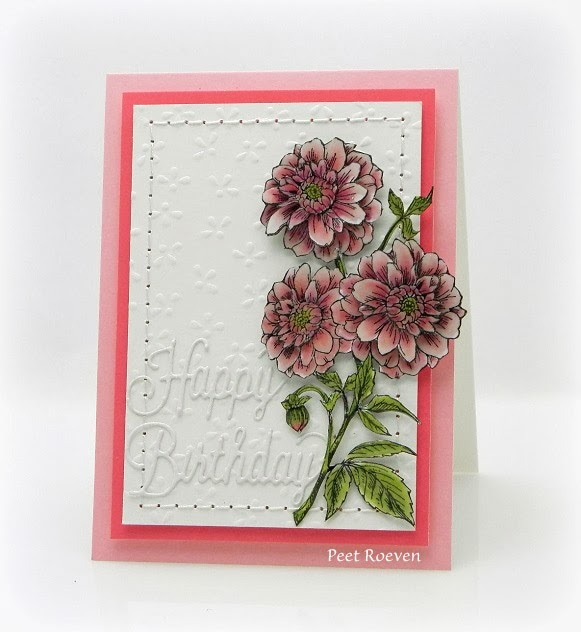 Enchanted Garden transparent stampset, Tagged Creative Die & Lattice White ep402 embossed paper from Penny Black. 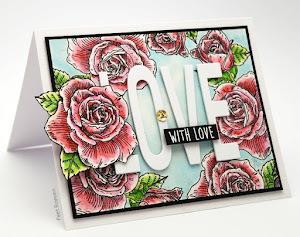 Sentiment Love from SRM Stickers.